With Spring now in full swing we have switched gears to focus on bright and colorful Spring activities. 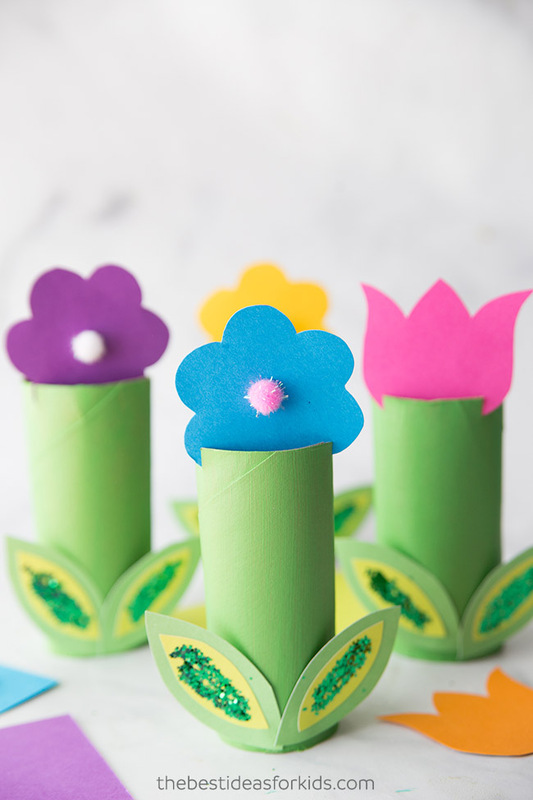 These Toilet Paper Roll flowers are perfect to welcome Spring! And we love all the colors and options you can do with these! Which spring flower is your favorite? Tulips are one of our favorite flowers and they are the perfect reminder of spring. 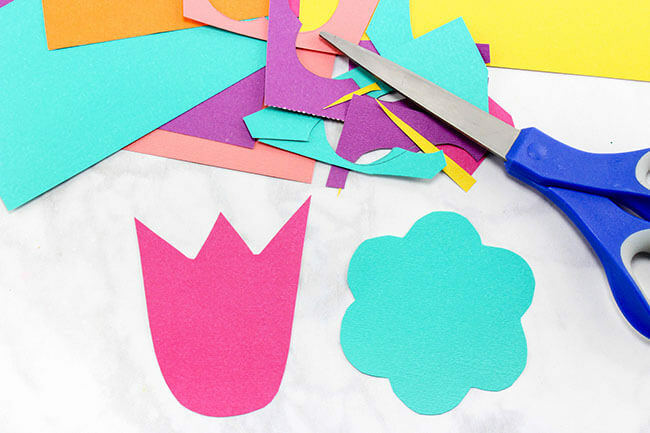 Getting fresh flowers to keep your indoor space bright and colorful can be tricky to maintain, so why not make these colorful recycled paper flowers instead? 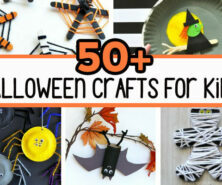 We love that you only need a few supplies to make these! And we make it easy to do with a free printable template. April showers bring May flowers and now that we’re almost into April we should start to see flowers starting to bloom. 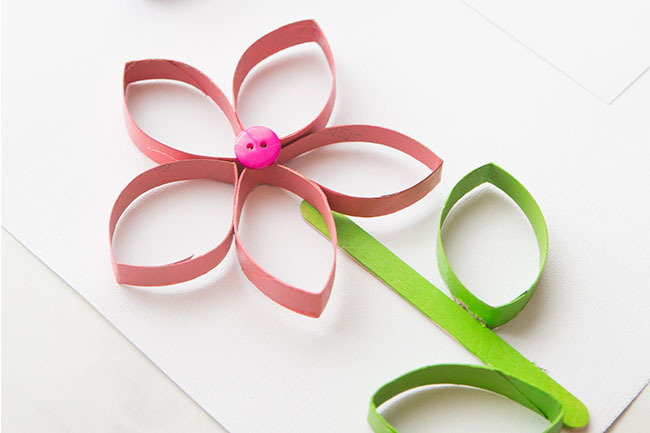 Before the flowers actually bloom, we hope you give this craft a try with your kids! 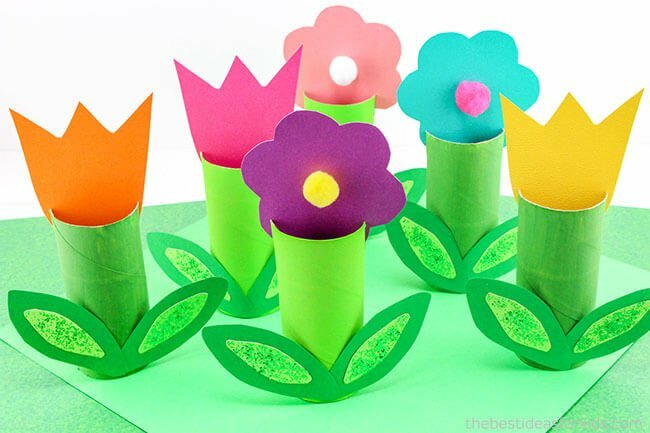 They will love putting these beautiful toilet paper roll flowers on display! 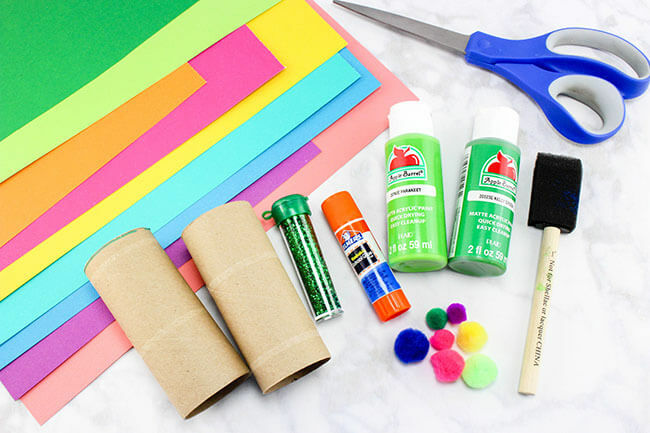 Now let’s get into how you create this fun craft! 1. 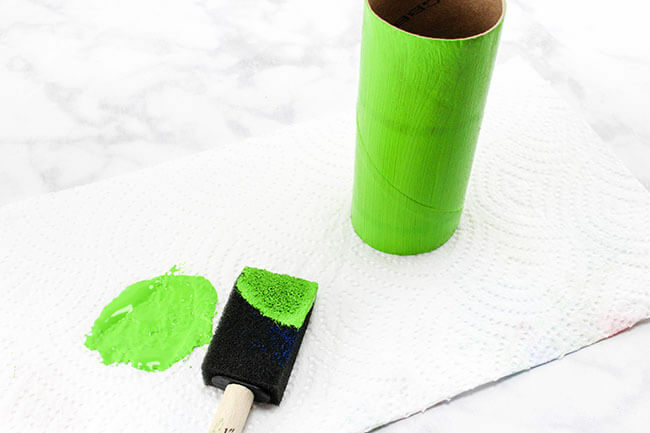 Paint the toilet paper rolls using green paint. Allow rolls to dry. 2. 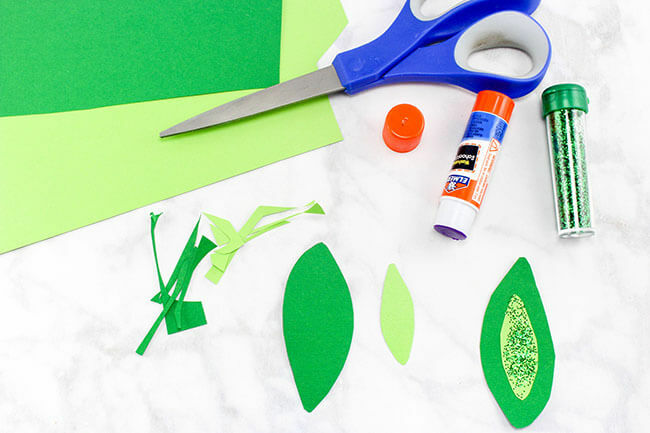 Cut out your leaves, approximately 4” long using green construction paper. 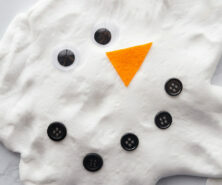 And cut out a smaller center using a lighter green paper. Put some glue on the small leaves and sprinkle with glitter. 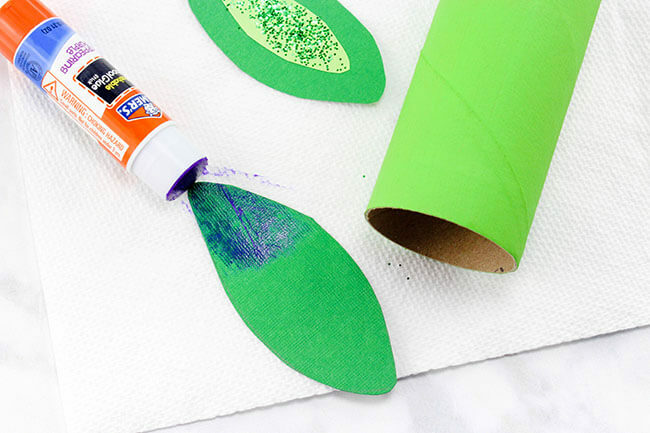 Glue these smaller leaves onto the larger ones. Grab the free printable template as a free gift by signing up to our newsletter on the form with the preview of the tulip and flower template. 3. 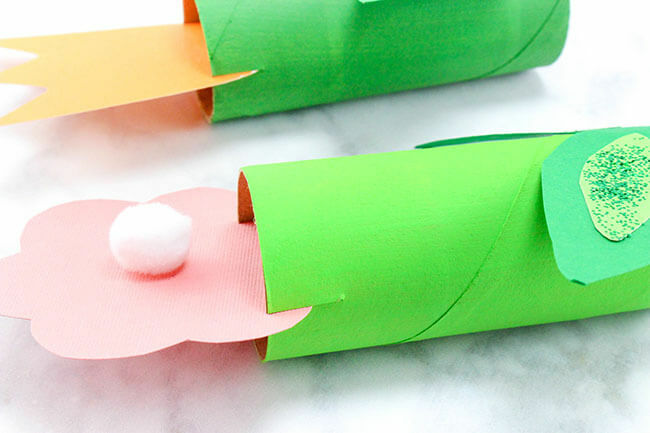 Glue the leaves to the front of the toilet paper rolls. 4. 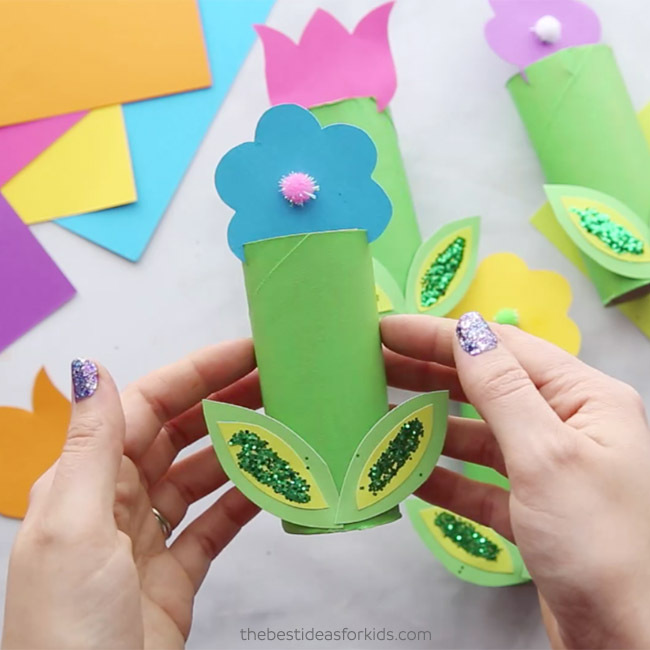 Using different colored paper, cut out different flower shapes like tulips and daisies. 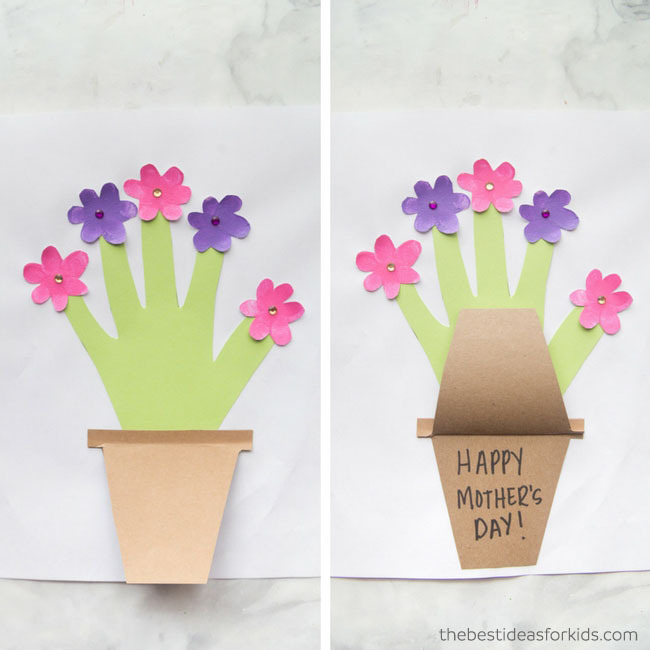 You can freehand draw your flowers or you can use our printable templates. 5. Glue little pom poms onto the daisy shaped flowers. 6. Cut a half inch slit on each side of the toilet paper roll to slide the flower into. 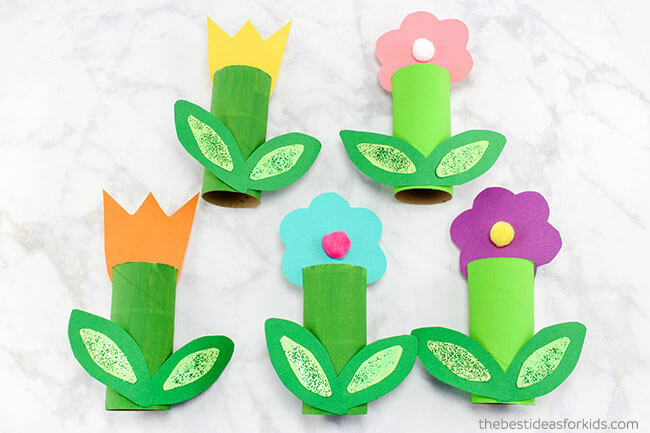 Now place your flowers on display and make your own flower garden with them! These would look lovely on a window sill. 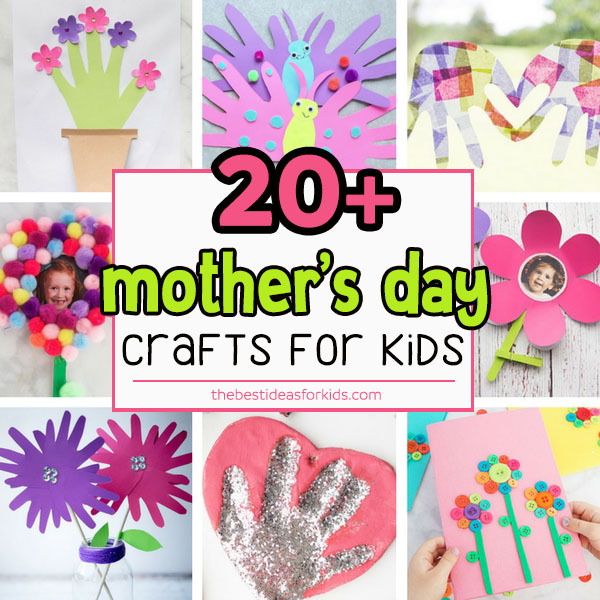 You can even make these for Mother’s Day! 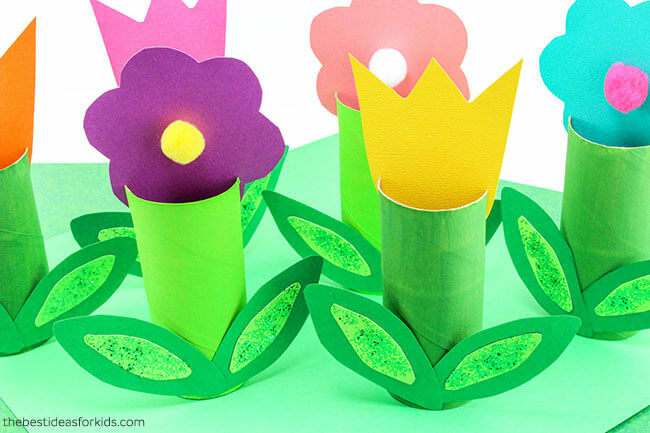 Sign up for our Newsletter and get this paper roll flower template as a thank you! 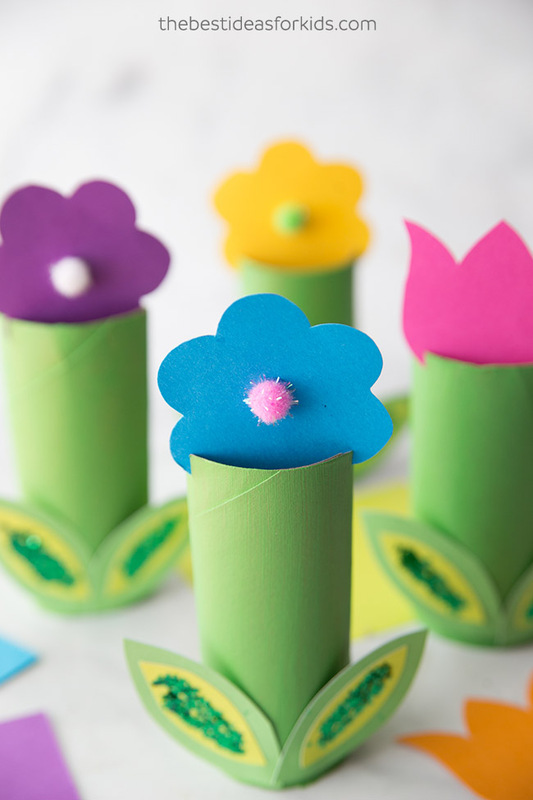 And see this other way to make flowers from toilet paper rolls!